Alaska Airlines said Tuesday it will be the first U.S. carrier to test a satellite-based in-flight wireless Internet service next year and may equip its entire fleet. There have been several moves across the industry to offer passengers Internet access while they're traveling. Seattle-based Alaska plans to install Westlake Village, Calif.-based Row 44 Inc.'s broadband service on one Boeing 737 jet next spring. Row 44's system is designed to work over water and across international borders. Alaska Airlines said the service is intended to work on all its routes, which include flights within the lower 48 states and to Alaska, Hawaii, Canada and Mexico. 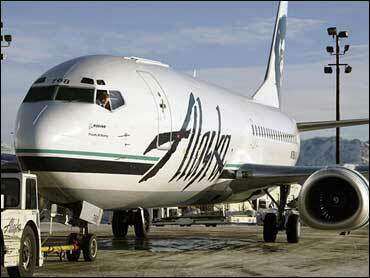 If it works, Alaska may add the service to all 114 of its aircraft. Customers with Wi-Fi-enabled devices, such as laptops or smart phones, will connect to the system through wireless hotspots in the aircraft cabin. A dome-shaped device mounted on top of the plane will house the antenna that receives and transmits satellite signals. Alaska Airlines, the nation's ninth-largest carrier, is researching various pricing options, spokeswoman Amanda Tobin Bielawski said. American Airlines announced last month that it would test a high-speed air-to-ground Internet service on some of its Boeing 767 jets. For that system, AirCell LLC said it would build cellular towers throughout the continental United States to transmit the broadband signals. AirCell said American will charge a fee, and that details on pricing would not be announced until the service is ready to roll out. About a year ago, Boeing Co. pulled the plug on a planned in-flight Internet service after it failed to sign on enough airlines. Called Connexion by Boeing, it offered high-speed in-flight Internet hookups via satellite that cost $10 for the first hour and $27 for 24 hours. First announced in April 2000, Connexion suffered a major setback with potential U.S. airlines after the 2001 terrorist attacks triggered an industrywide downturn.